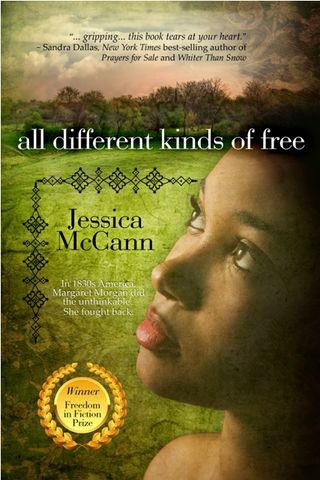 From the first moments I became acquainted with historical fiction author Jessica McCann, I have been impressed with her incredible authenticity. She is a true voice in a world where people throw around gratitude and compliments so liberally that they tend to lose their value. I admire her as a woman of integrity and a consummate professional, but read her fiction and you’ll understand why I’m honored to post this interview. You will be transformed in your thinking. She raises your expectations of yourself and of others. And somehow, just when you should be most disappointed in humanity, you will find instead, that you feel hopeful. All Different Kinds of Free, released in April 2011 by Bell Bridge Books, was inspired by a true story. It is about Margaret Morgan, who was kidnapped in 1837, along with her free children, and sold into slavery. Although she fought hard to regain her freedom, Margaret endured tremendous loss and hardship. Her ordeal led to one of the most important yet least-known Supreme Court cases of the era, Prigg v. Pennsylvania. Text books will have you believe the story of Prigg v. Pennsylvania is important because it ended in controversy and fanned the early embers of the Civil War. This book will have you believe the story is important because it began with Margaret. All Different Kinds of Free won the 2009 Freedom in Fiction Prize. 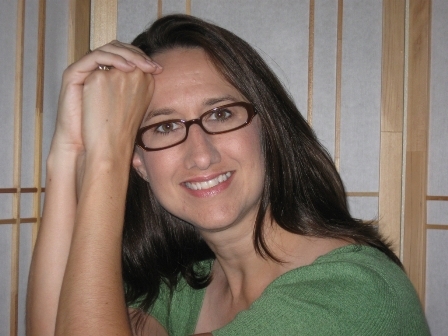 As a novel-in-progress, the work also was a semi-finalist in the 2004 Dana Awards and the 2005 William Faulkner-William Wisdom Creative Writing competition. Thank you so much for taking the time to share with us and for your beautiful work, Jessica. Welcome! What is your favorite quality in a person? Integrity. My definition of that means striving to always do the right thing, not necessarily the easy thing. What is your least? Self-pity. I have very little patience for someone who wallows in their misfortune. Time is much better spent being grateful for the good in life, because there is always good to be found, no matter how bad things get. When I slip and start feeling sorry for myself, I remind myself there is always someone out there suffering more than me. As a child, did you dream of becoming a writer? I didn’t dream of it, necessarily. I just always was a writer, really without even knowing it. I was the kid whose heart raced with delight when the teacher would announce a research report or essay homework, while my classmates moaned and broke out in a collective cold sweat. Now we’re all grown up, and I do freelance writing for all the people who still moan and agonize over writing projects! Who/what influenced you to pursue your dreams? Without a doubt, my husband has been the biggest influence on my success as a writer. We’ve been together for my entire adult life, and in all that time he’s been my biggest fan, my loudest cheerleader. He puts up with me blurting outcome predictions of our favorite TV shows, and he listens to my musings about people and motives when we watch the nightly news. His patent response is often, “You should be writing this stuff down!” Thanks to his encouragement, I am! What is your greatest love? My family and all that encompasses — hosting family gatherings, going on camping trips, driving the kids to the mall, walking the dogs, sitting together on the couch watching TV, knowing we’re there for each other through thick and thin. What is your greatest fear? That the people I love and admire and appreciate might not know it. About five years ago, we had a tragedy in our community, in which a man we knew through our children’s school murdered his young sons and took his own life. To this day, I can’t reconcile how the man I knew could have committed such a horrible act. Did he know how much I valued his friendship, how much I admired him? We can’t always prevent terrible things like this from happening in the world. But can reach out to those around us, every day, and let them know how important they are and how thankful we are to have them in our lives. What is your favorite place? As a child, it was the Phoenix Zoo. I spent many, many hours there, walking the trails, observing the animals, connecting with something “wild” even though I lived in the city. That helped foster my love of nature and wildlife. As an adult, whenever I feel the need to connect with something bigger than myself, when I need inspiration, I still gravitate to the outdoors. If you could give a bit of sage advice to novice writers, what would it be? Write for yourself first. If you don’t love what you’re doing and what you’re creating, no one else will either. Write for your reader next. If your writing is something you want to share with others, then you must read it through their eyes and have the fortitude to revise and rewrite when necessary. I’d been trying for weeks to write this blog post. 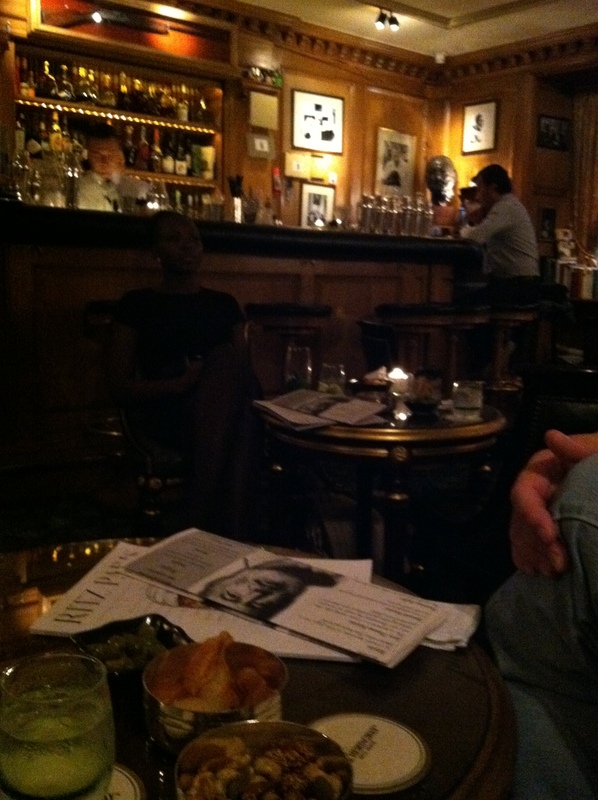 On a recent trip to Paris, I was lucky to visit the Hemingway Bar and was charmed all round. But my memory of the place felt like a troubling dream. The details of the bar itself were clear in my mind, but I kept trying to recall something more visceral – a feeling, something out of joint with the rest of my experience. It remained just out of reach. I stared and stared at the photographs, trying to rediscover what troubled me. “Why do you look like that?” my husband asked while I scowled at the photo. He was annoyed that I was obsessing. “It was just a bar. A good drink. Expensive,” he said. He didn’t remember anything out of the ordinary. “What do you think? It was haunted?” he teased. And that’s when I realized, I hadn’t been looking for a detail in the photograph. I’d been looking for a person. She was sitting at a table in front of the bar, smack in the center of the room, the first thing you’d see when you walked in the door. But I didn’t see her, not at first. I was too busy looking at the memorabilia, the bust of Hemingway, the old typewriters in alcoves, the framed postcards from his world travels, caught up in the nostalgia and half expecting to hear Papa himself whisper a dirty joke in my ear. It was dark and so was she, her hair, her clothes, her skin, all black. She was thin, with long arms and long legs, impossibly languorous. She must have been there when we came in but we’d been sitting at our table – and I was facing her, mind you – long enough to order our drinks and take in the atmosphere, before she uncrossed her legs. That small movement drew my eye and it seemed like she appeared out of nothing. I swear, she was like one of those pictures you look at once and see an old man and then blink and see the hidden image of a horse and cart. I waited on my drink, but I wasn’t talking to my husband or imagining Paris being liberated. I was watching the woman, how still she could be, how she occupied space without disturbing it. Except for the occasional sip from her drink or a nod of her sleek head, she never moved. An older gentleman approached her table, asked if he could take a seat. She was gracious, but not interested. She was young. She was not anxious. But I was. I started straightening my clothes, worrying about my jet-lagged complexion and my fuzzy hair. I took a drink from my gorgeous, rose-adorned glass and swallowed wrong, coughed. I smiled for a couple of silly photographs with my husband and then we paid the bill. And all the while I kept watching the other woman. I was an American tourist, out of place, giddy and too friendly. She could have been anyone. Or no one. If I blinked, she could disappear altogether. How did she do that? It was a secret she wasn’t sharing. Still isn’t. Look. Right there she is, in the photograph I took of the bar. I hadn’t even noticed her yet, and maybe that’s why I’d forgotten her when I went back to look at these images. Do you see her? A dark outline? Will you wonder about her the way I do? Is she a ghost? Is she waiting for someone? Is she lonely?Most probably at some point in her life, she will be all of those things. But for me, every time I look at this photograph, I search her out. Mesmerized by never knowing. Wouldn’t Hemingway love that? He’d have bought her a drink, I bet. He’d have given her a thousand names.